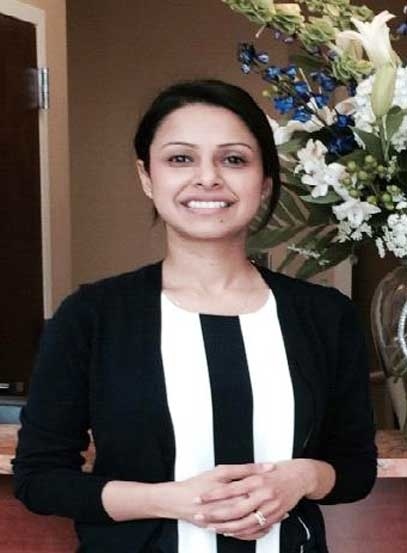 Dr. Ruma Anand is a graduate of the College of Dentistry of New York University, one of the best dental schools in the country. To continuously improve her clinical skills, she attends extensive continuing education programs in different fields, including cosmetic dentistry, orthodontics (Invisalign), and dental implants. Since graduating, she has attended programs in various prestigious institutions, such as the University of Medicine and Dentistry of New Jersey, Rutgers School of Dentistry, and American Academy of Implant Dentistry. Through training, she stays on top of the latest breakthroughs in dentistry. Other than competence in the field, she has a genuine concern for her patients. She takes time to listen to their problems and considers every detail of their issue, factoring it in to her diagnosis and prescription. Then, she makes sure patients are aware of and understand the treatment options available to them. This way, patients make a well-informed decision about their oral health. With her gentle touch, she helps apprehensive patients relax. She also makes sure that nervous ones, especially children, are comfortable in the dental chair. With her friendly staff, she prepares a positive experience for her patients. Outside of the dental office, she enjoys skiing, playing pool, and spending precious time with her husband and daughter, Samaira.